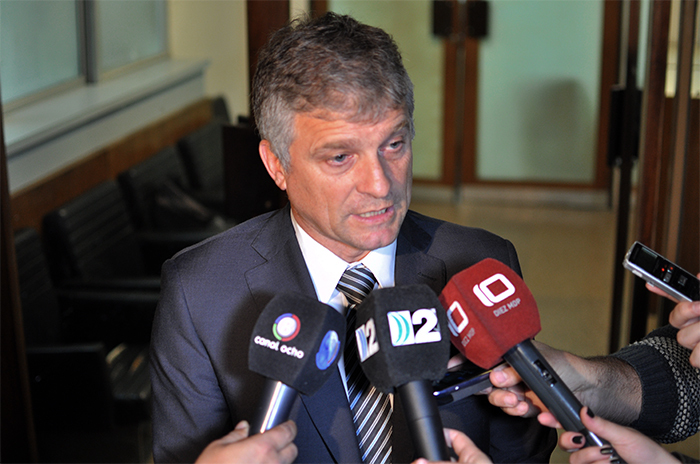 After seven months from the first trial by jury in the Province of Buenos Aires, the new system is continuously gaining the acceptance of judges, prosecutors and defence lawyers. 26 trials have been already held with this system (14 accquittals and 12 convictions). Twenty more are scheduled for the next three months (see updated lists of finished trials and upcoming trials). Here, the moving words from Judge Fissore (Mar del Plata), Prosecutor José María Gutiérrez (Quilmes) and President of the Quilmes Bar Association Bienvenido Rodríguez Basalo (click here for the full coverage of the newspaper stories). 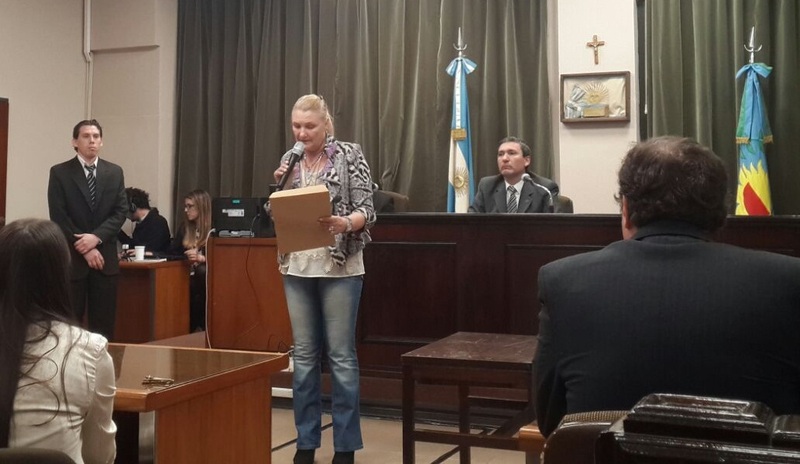 Presiding judge Fissore of the third Mar del Plata jury trial stressed that trial by jury is a "positive experience". On the experience of trial by jury, the judge said, "I´m in favor of this method. My position is satisfactory, it is a way to bring the people to justice at a time in my country in which there is so much discrediting of Justice. It is the people themselves who decide whether a person is guilty or innocent: this is for me the ideal way ". "It is the highest honor of all for a man of law to receive the voice of the people in the administration of justice. Because the people is always sovereign, this was a historical moment: our lay citizens, the people whom we represent, would decide on issues of Justice. I thought it was something that I would never be able to see; I have over 30 years in the courts, and finally I managed not only to see it, but to prosecute the first case. I am honored to have been chosen for this first trial in my district with the system of trial by jury". "We supported from the beginning the implementation of this system, because it is a constitutional mandate that was unfulfilled. 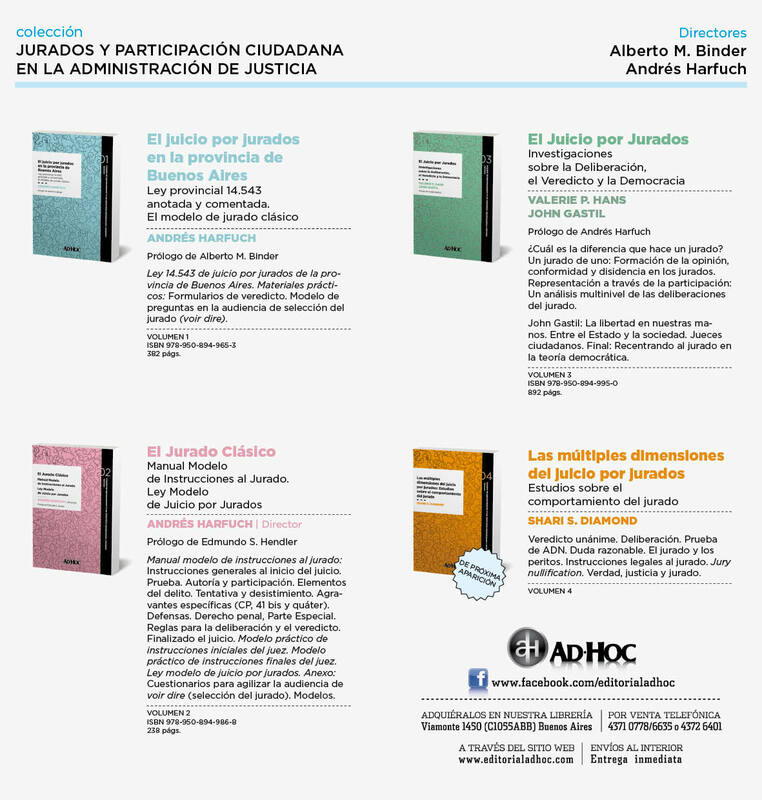 Any participation of neighbors in judicial decisions will bring transparency and will encourage citizenship, since they participate in the most important decisions of justice. And the experience we've had in all district courts of Buenos Aires province where this system was implemented has been very positive". "From our experience, we´ve learned that wherever the system was implemented, the community and the jurors joined with great excitement and enthusiasm, thus wanting to engage and participate, it's all very positive for trial by jury". In a unanimous decision, the twelve neighbors summoned by the Judicial Power found defendant Agustín Rubén Pereyra guilty for "aggravated murder by the use of fire weapon." The jury composed of twelve residents of the Mar del Plata city, in a unanimous decision, concluded that Rubén Agustín Pereyra was guilty as charged for the murder "aggravated by the use of firearm" of Mr. Rodolfo Alberto Eloy, who was killed after receiving eight bullets in April 2014 in the town of Batán. This was the first time in Mar de Plata district that a jury convicted a defendant. In the first two trials, juries delivered unanimous not guilty verdicts in favor of Roberto Echarry and Brian González. Beacuse of the jury´s decision in this case, presiding Judge Fissore will conduct in a few days a hearing to settle the amount of the penalty. This hearing will take place without the jury, but with the presence of prosecutor Juan Pablo Lodola, the defendant and his public defender. The expected punishment might go from 10 years and 8 months to 33 years. "Now that we know that Pereyra is guilty for aggravated murder by the use of a firearm, since the jury itself has chosen that legal figure after my instructions, it is now our duty, along with both parties, to conclude what is the penalty that corresponds according to the charge unanimously voted by the jury in its verdict", said judge Fissore. 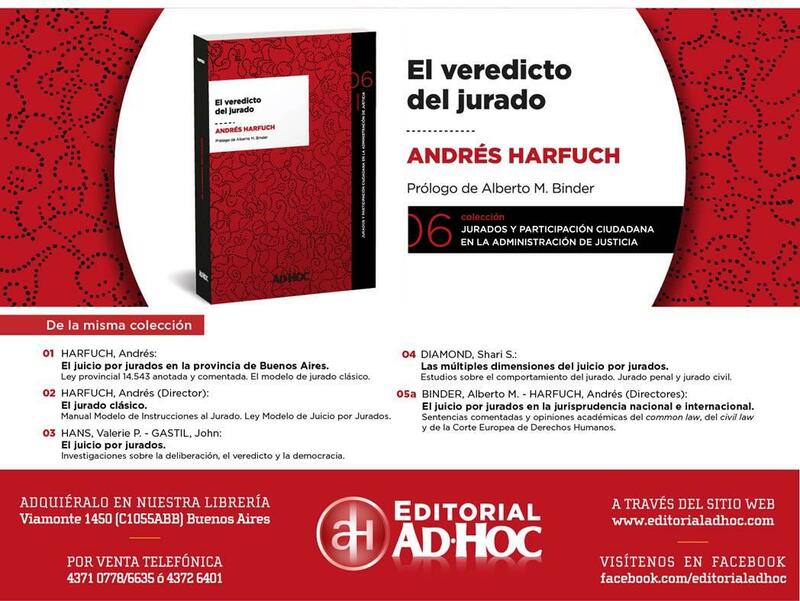 On the experience of trial by jury, the judge said, "I´m in favor of this method. My position is satisfactory, it is a way to bring the people to justice at a time in my country in which there is so much discrediting of Justice. It is the people themselves who decide whether a person is guilty or innocent : this is for me the ideal way ". It began yesterday the new system of criminal trials, “with great success”, as they noted the different actors of the local Justice. Twelve neighbors from the city of Quilmes, chosen by lottery, participated as jurors, listening to various witnesses and many other proofs in a knife­-murder case that finished yesterday with the jury's verdict and that will continue today at 9 o´clock, when the trial resumed for sentencing. The guilty verdict was a majority one (10­-2). Trial Court nº 2, with Judge Felix Roumieu presiding, completed the voir dire hearing to select the final jury panel two days ago. The jury tried the death of Victor Rojas, one “car watcher” who quarrelled with the municipal employee Rodolfo Castillo, and get a slash in the throat that killed him within minutes. Trial prosecutor, José María Gutiérrez, highlighted the development of the new system: "It was all very well organized. The judge had a flawless performance during the day, since each party stuck to its strategies: I was going for murder, and the defence lawyer for self­-defence". The trial was briefly adjourned yesterday for the opening of a box with a stick, knives and bloody clothes. Due to biosafety reasons, it required the presence of a biochemical not to contaminate anyone, said the prosecutor Gutierrez. Two days ago, three witnesses for the prosecution were heard. Yesterday, after the fourth witness testimony, the prosecution rested and so started to testify the three defense witnesses. When PERSPECTIVA SUR asked for a reflection on the new system, prosecutor Gutiérrez said: "It is the highest honor of all for a man of law to receive the voice of the people in the administration of justice”. Because the people is always sovereign, this was a historical moment: our lay citizens, the people whom we represent, would decide on issues of Justice. I thought it was something that I would never be able to see; I have over 30 years in the courts, and finally I managed not only to see it, but to prosecute the first case. I am honored to have been chosen for this first trial in my district with the system of trial by jury." Meanwhile, Bienvenido Rodríguez Basalo, president of the Quilmes Bar Association stressed that "we supported from the beginning the implementation of this system, because it is a constitutional mandate that was unfulfilled. Any participation of neighbors in judicial decisions will bring transparency and will encourage citizenship, because they participate in important decisions of justice. And the experience we've had in all court districts of the Buenos Aires province where this system was implemented has been very positive". "From our experience, we´ve learned that wherever the system was implemented, the community and the jurors joined with great excitement and enthusiasm, wanting to engage and participate, it's all very positive for trial by jury." "From the Quilmes Bar Association we advocate that the new system has the appropriate infrastructure in order to be a successful experience." In this regard, called for "the State to provide all manpower and infrastructure for the system to work well".